Zeno Dichotomy Paradox from Wikipedia: You will never spend all your points! My O-5 mathematician turned surgeon called me just now to disprove my valuation of 2 cents per point using Zeno’s Paradox. In this paradox a runner can only go half the remaining path in each step, so he never makes it to the finish line. The wiki article is quite boring and dry, but in this application the 50% points bonus will never truly double your points. The friend is a strong believer that only the Gold Luxury Card has a true valuation of a single point being worth 2 cents in redemption where as the AmEx Biz Pt with its 50% points back could never be valued at 2 cents equally because of clever marketing intended to decieve you. As you know by now you should GET THE AMEX PLATINUM BUSINESS since it’s giving you 100k points, $200 travel credit, and a 50% bonus on booking on the chosen airline for the year. Preferably by the end of the year so you can hit the $200 credit twice in a single annual fee cycle. If your Active Duty don’t worry, they still waive the $450 annual fee even for business cards. So let’s look at the 100k MR bonus in sign up. If you make the $5k spend, you get 50k in MR points, and then if you do another $10k spend you get another 50K in points. We assume you spend the entire MR points balance each ticket redemption cycle. The trick is you will get 50% back to spend on more airline tickets. 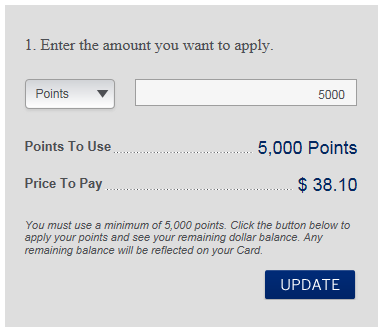 Lets continue the cycle until you are essentially left with 3,125 points you can eventually transfer these to a gift card or plenti points, because you sure as hell not able to get a ticket on a major airline for $31.25, and minimum redemption of 5,000 MR points for $50 towards any airline ticket. When we add this up we can see it only adds up to $1,968.75 in redemption for 100,000 MR points. It would be dishonest for me to even claim that you could get 2 full cents per point, but rather 1.968 cents per point. I am so terribly sorry if you felt slighted by my calculations. He was very insistant that I write this poist to point out my error, and also to say Shittybank screwed him out of his $400 bonus too! Better luck next time, I will try to be more mathmatically perfect in the future. A slight addon. At the beginning the amex is on steroid due to bonus/promotion gimme. The bluf is luxury gold card has the true money value at 2x and u can use the money anywhere. Alos it has the 400 dollars too. In order to max amex rewad point, the member should always apply the business platinum first. If not then dont use the pts till the member has the business platinum. High level od universal language math supports and approves it. Forgot to mention ur O5 is pretty smart. If everyone follows his advice the CC company will be broke. This is the reason the luxury card turn away from waiving the fee.